Have an upcoming meeting or a regional roundtable to plan? Need to find a corporate gift with a unique message? Meeting organizers and communication professionals have started looking for unique ways to communicate their corporate message to suppliers, employees and business partners. A company’s brand can be communicated in many ways and corporate gifts provide an opportunity to speak volumes, whether it’s internal or external, small meetings or large conferences, or even for employee perks or retirement, we can help! For companies and organizations looking to develop custom corporate gifts, Crystal Cabin offers Canadian-made products that can help convey your company’s unique values. Our products are made in Haida Gwaii, Canada, reflect our commitment to Aboriginal communities and culture and are designed thoughtfully with a connection to the natural environment in mind. We offer an alternative to generic corporate gifting by providing distinctive products that tell a story connected to your company’s message and values. Haida Copper Shield Pin. Design by Haida Artist, Marcel Russ. Description: The Copper Shield is a symbol of wealth & cultural documentation essential in potlatch ceremony of the Haida & other coastal peoples. Design by Haida Artist, Marcel Russ. Made in Canada. Description: Formed over 62 million years ago during the Paleocene Epoch, Island Mist Agate is believed to heal and balance. Their warm, grounding and protective properties reduce stress and encourage confidence. 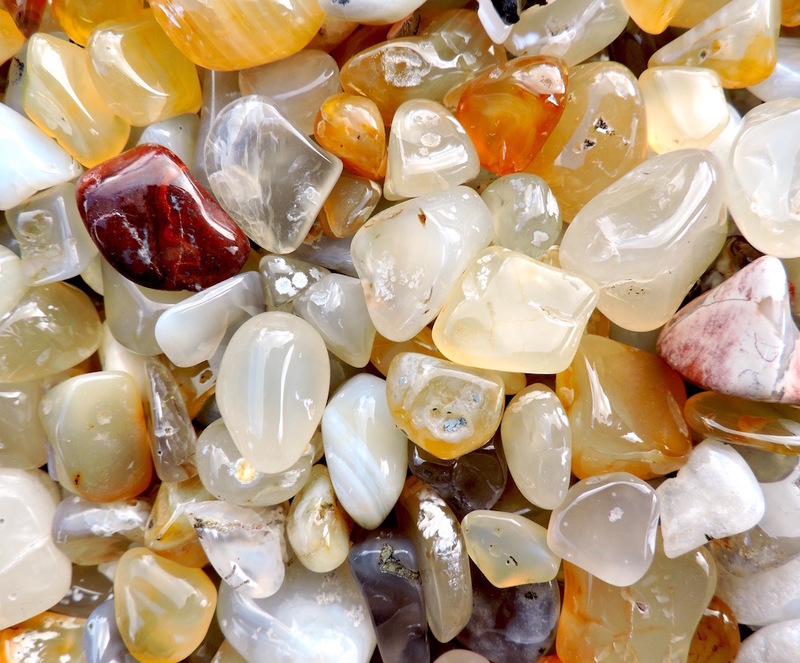 Agates found on our beaches are energized by the supernatural powers of Haida Gwaii & the Gwaii Haanas Vortex. Description: Argillite is a black slate carved exclusively by Haida carvers in Haida Gwaii. This stone is known as the black gem of Haida Gwaii and is uniquely found in these islands. We carry a variety of argillite carvings, pendants and jewelry for sale online and at our Haida Gwaii location. These beads are handcrafted by Haida Artist Michael Brown. "A Great Addition to the Boardroom, Office or an Executive Promotion Gift..."
Description: Encased in bubbled exteriors, these Thunder Eggs reveal delicate star-shaped interiors. Star Spirit Thunder Eggs are formed volcanically and found in indigo and orange hued clays. These powerful stones allow us to access confidence and strength, and better connect to the earth and ourselves. Thunder Eggs are believed to be parented by mythological thunder birds. What this gift represents: Power, connection to natural environment, Canadian product. Description: When cut and polished reveal soft landscapes in creamy, warming hues. This stone elicits calming, balancing & serene properties. Use this mineral to bring peace & flow to any space. Wear as jewelry or hold in your hands to feel its grounding benefits. Geologists describe this stone as oxidation fronts in rhyolite. Locally sourced. Serenity Stone from Haida Gwaii. We hope this corporate gifting guide will help to provide you with valuable insights and ideas to further leverage your corporate message through gifting. We would be happy to create a custom solution for your corporate gifting needs. To get started, please contact us at stay@haidagwaii.net or 1-250-557-4383.